DETAILS: Classy is the name of the game with our Personalized Gunmetal Square Cufflinks. These engraved, round cufflinks include three initials to add the final touch to your gift. 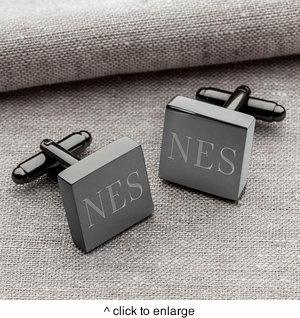 MARKETING: Perfect for the groomsmen or to spruce up that formal wear!